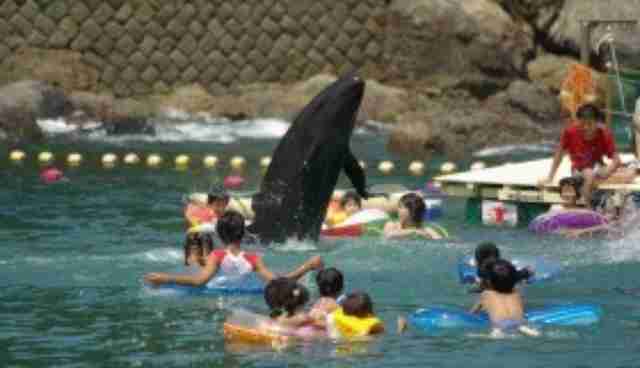 Every year, as part of Japan's infamous dolphin hunt, the hundreds of animals are driven to meet a grim fate in Taiji's Hatajiri Bay, commonly known as "the cove." While some of the animals rounded up there are slaughtered, hundreds of other, mostly younger dolphins, are captured alive to be sold to fill dolphinariums around the world or be used to replenish the living exhibits at the city's own marine park. Given the controversy surround this practice, the fate of the animals that end up in the Taiji Whale Museum is closely guarded -- though now we're getting a new peek at what life is like there for some of them, and it's not good. According to a report from Australia For Dolphins, the museum recently released two female Risso's dolphins into cove, though they are far from swimming free. 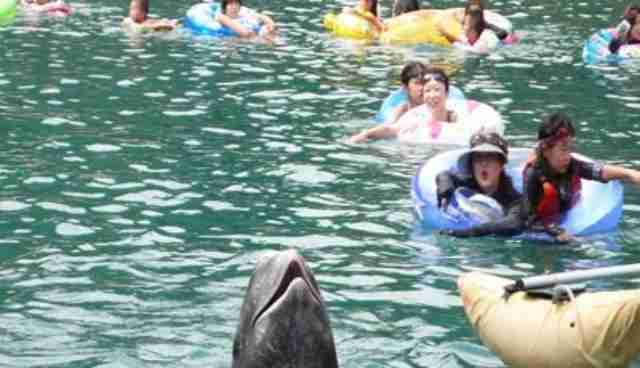 In a cruel twist, the two animals which were likely separated from their pods in that very spot are now being forced to serve as living tourist attractions to visitors who have flocked there to cool off on hot summer days. 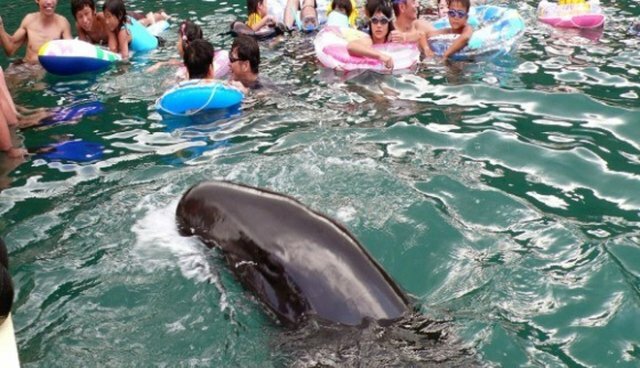 Held back from the open ocean by nets, the dolphins must endure more stressful interaction with humans, robbed of their lives swimming in the vast ocean to instead be treated as little more than playthings.